In Kung Fu Hustle, every breathtaking, overly theatrical, slow motion action sequence is sprinkled with unexpected moments of humour. It is a movie best described as a mismatched combination of the Matrix and Rush Hour with influences from Crouching Tiger Hidden Dragon. The entire movie has an early 20th century ambience to it with dark suited gangsters in pointy hats brandishing tommy guns and streets lined with large, dark brown buildings and small shops. The setting is in Shanghai at a time when a Chinese Mafia group calling themselves the Axe Gang controls the city. The story line is hazy at best with no clear cut theme except endearment towards stupidity. The main character is part of a duo of hustlers who pretend to be members of the Axe Gang so as to attain money from people by way of threats and blackmail. Their con backfires when they meet with a town of resilient individuals who refuse to cooperate. What ensues is utter confusion between all concerned parties and confrontation with the Mafia. 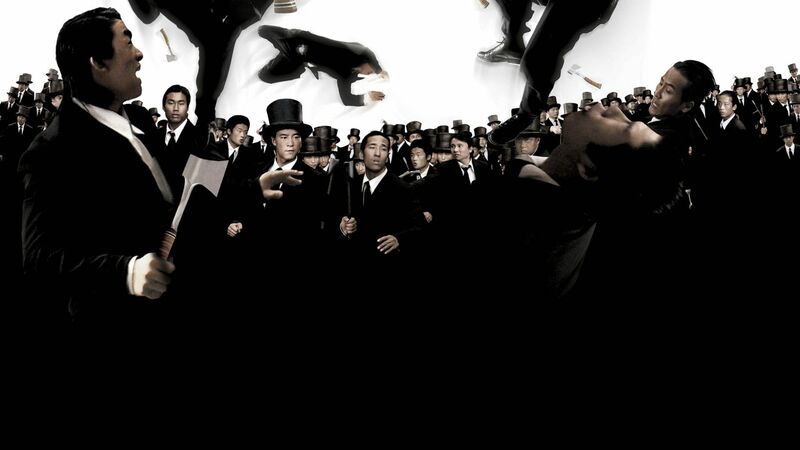 Visually speaking, Kung Fu hustle is best described as fantastical. In the movie a single punch by a powerful individual is strong enough to destroy an object without making contact i.e. the force of a punch is so strong that a nearby object can be obliterated by the resultant push of the air molecules adjacent to the fist. The musical score is very well done and blends in extremely well with the action and is in no places overdone. To conclude, Kung Fu Hustle is another brick in the wall, churned out from the unceasing movie making factory that is Hong Kong. Its mellifluous action sequences are at times choreographed mind numbingly well and the intermittent humour though forced is truly refreshing. 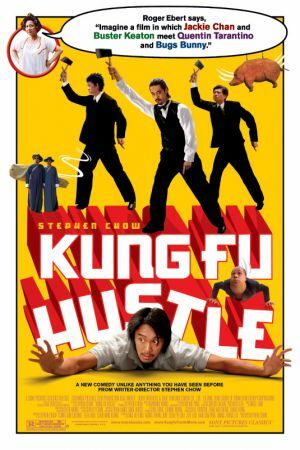 Though not revolutionary, Kung Fu Hustle is not a bad movie and should be interesting for all fans of bullet time action.